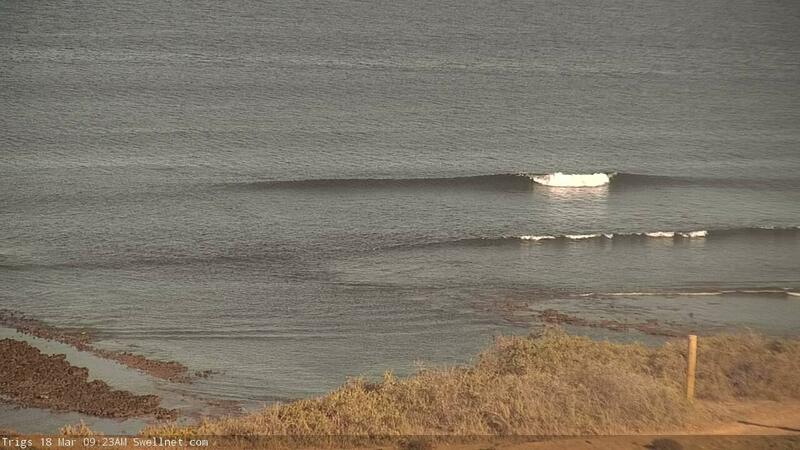 Best Days: Tues/Fri/Sat: fun small waves on the Mid. 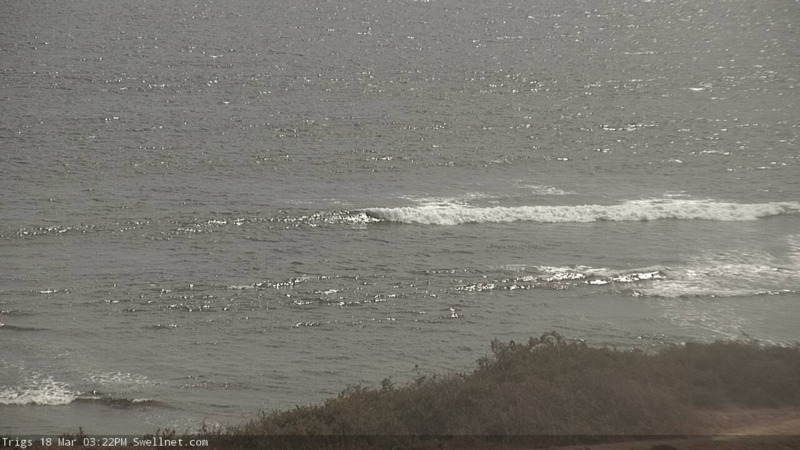 Entire period: OK conditions at Victor, onshore winds shouldn't be too strong. Early next week: large swells though likely to be quite windy. Recap: The Mid Coast saw tiny teaser lines all weekend, whist Victor saw easing surf with light morning winds and fresh afternoon sea breezes. Today has seen a slight increase in surf size across both coasts, and buoy data is promising for a late pulse on the Mid (though no great size). We’re under the influence of a synoptic blocking pattern in the form of a stationary belt of high pressure across the Southern Ocean, stretching from underneath Western Australia through South Australia to a position below Tasmania. This will maintain light to moderate S’ly winds across all coasts for much of the working week. Periods of variable conditions are likely, especially Tuesday and Wednesday. As for surf, the currently build energy (at the CdC buoy, anyway) was generated by a strong front in the Southern Ocean a few days ago. We’ll see a peak into Tuesday with slow, inconsistent 1-2ft waves along the Mid Coast and 3ft surf at Middleton, but through Wednesday and Thursday we’ll see size settle back to a faint 1ft on the Mid Coast (only on the more favourably parts of the tide) and 2ft at Middleton. This energy will be the byproduct of a conveyor-belt of modest fronts and low pressure systems through our far swell window, from Madagascar longitudes, through Heard Island and below Western Australia. The large travel distance will result in extremely long periods between sets. Another round of strong fronts currently extending east of Heard Island right now (see chart below) will kick up another groundswell for Friday, and the swell direction is now expected to be a little more west than Friday's model runs suggested, so I think we could see a decent round of surf along the Mid Coast on the afternoon tide, probably somewhere in 2-3ft range (smaller early morning), though as per usual, very inconsistent at times. Wave heights should reach 3ft at Middleton, with bigger surf at exposed coasts. The regional block is expected to break down later this week, and will result in a frontal passage approaching the state over the weekend. A series of powerful polar lows are expected to project up from the Ice Shelf around the same time and generate large swells for the state, though the bulk size probably won't arrive until Monday. At this stage Friday's new swell should hold into Saturday before easing steadily into Sunday - so, expect similar wave heights on Saturday as is listed above for Friday, perhaps a smidge smaller as we'll be on the backside. The approaching front will eventually build new energy into Sunday too. At this stage local winds probably won’t be too strong but we should see a directional shift from the south too the west. Anyway, there's a lot to unpack for the weekend with the charts being quite dynamic, so let's firm things up on Wednesday. There’s a pretty good suggestion that early next week will see a return to typically strong autumn patterns, with large SW swells and gusty winds out of the western quadrant tending south-west as a series of powerful lows and fronts push close to our region. More on this in Wednesday’s notes. 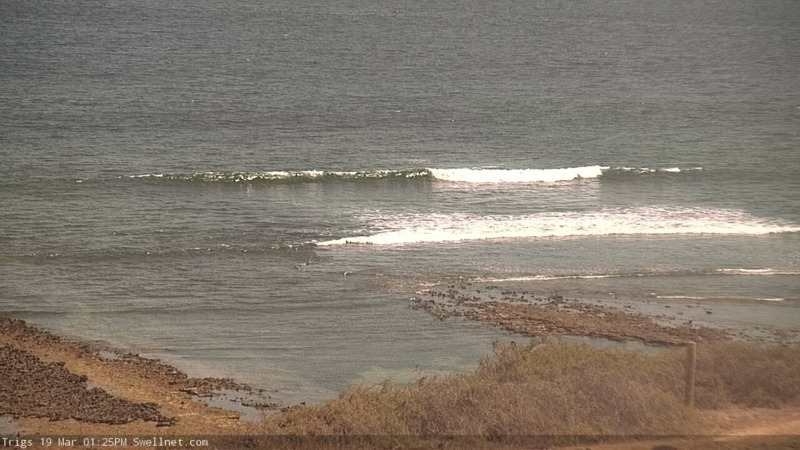 Wasn't much on the Mid this morning, but the lower tide revealed some small waves on the reefs. Buoy data has perked up a little this arvo too.